Kirkland (in King County near Seattle)is the twelfth largest city in Washington. It’s downtown area on the shore of Lake Washington has dozens of waterfront shops, restaurants, art galleries. 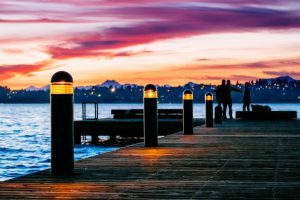 Recreation abounds in Kirkland with a full marina and several parks including Juanita Beach Park and Juanita Bay Park. Kirkland is the namesake for the Costco “Kirkland” brand, as the retailer was formerly headquartered there.